When the Tiny Toons Plucky Duck, Hamton, Furrball, Babs Bunny, and Buster Bunny are invited to a new amusement park, they're bursting with excitement and anticipation. 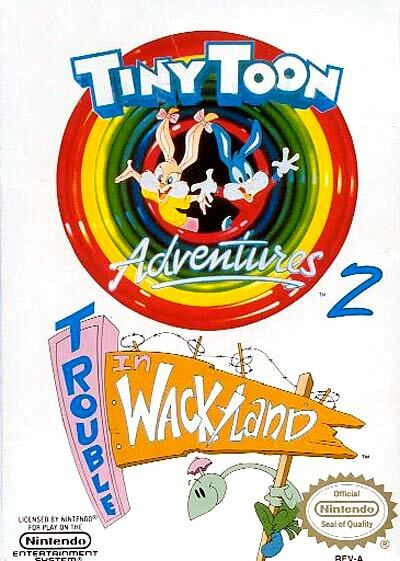 But once they're inside the park Wackyland the Toons realize they're in trouble, because the owner is their archenemy, Montana Max. The attractions in Wackyland are prank-filled rides disguised as legitimate ones, and it's up to you to help the Toons get through each of the five rides unscathed. Along the way, you'll be confronted by four foes Roderick Rat, Batsy, Arnold the Pit Bull, and Elmyra that will cause all kinds of problems. If you can get through all five rides and survive the traps that are scattered throughout the park, you just might be able to get back home safely.